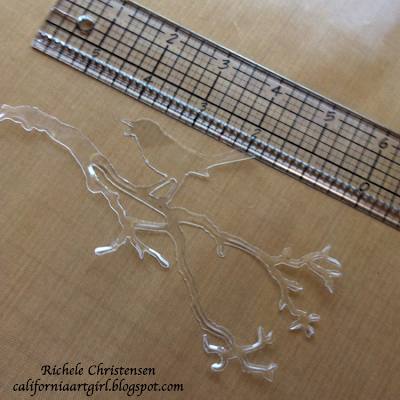 Richele Christensen: Shrink Plastic Challenge! Happy Monday! I hope you all had a fabulous weekend. Inspiration Emporium is at it again. Chelle and Joy challenged the team to create something using Shrink Plastic. So here you have it! It's a necklace, I can't wait to wear it and show it off. 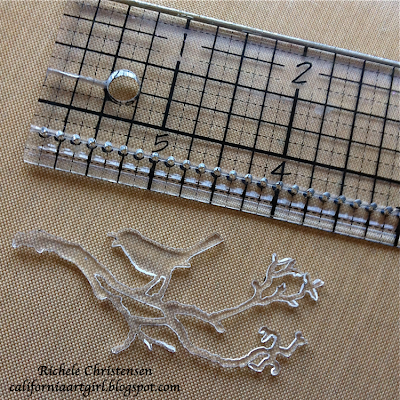 This Bird Branch die cut is one of my favorites and it's super cute all shrunk. 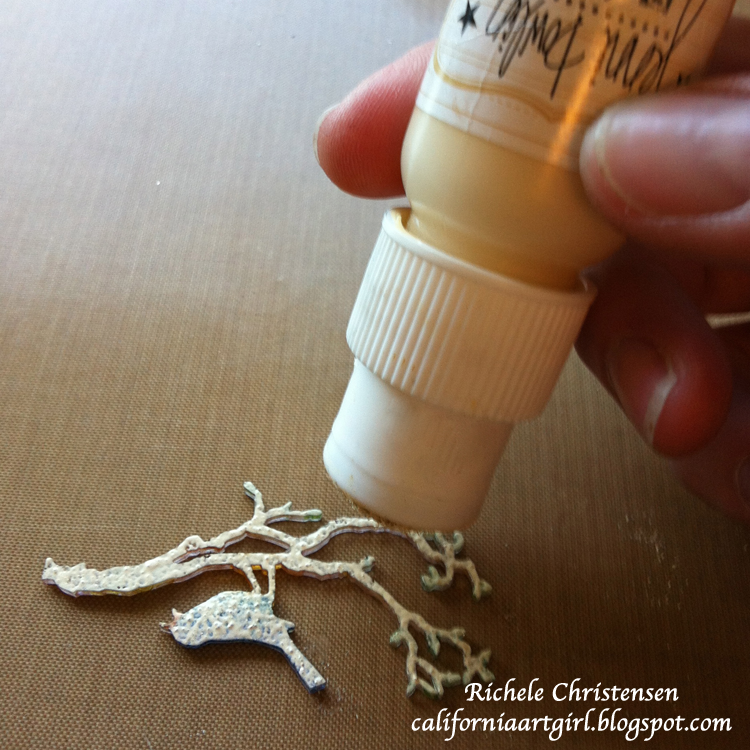 Die cut the Bird Branch using Shrink Plastic, the die is from the Tim Holtz Alterations line from Sizzix. 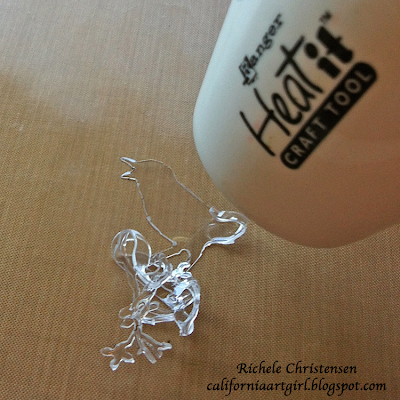 Heat the Shrink Plastic with a Heat tool. As the plastic shrink it will curl up but not to worry keep heating and it will flatten back out. While it's still warm I also like to put an acrylic block on it to help flatten the image back out. Look how cute it is now! The Ranger Shrink Plastic shrinks approximately 50%. Color the backside of the Shrink Plastic with Copic markers. Work on a white surface to help see the color. After you are all done coloring add a layer of paint to the back. Paint the Idea-ology foliage flowers with Ventaj Patina inks. I love how easy it is to paint metal with these inks and clean up is a breeze. Just wash your brushes out with water. 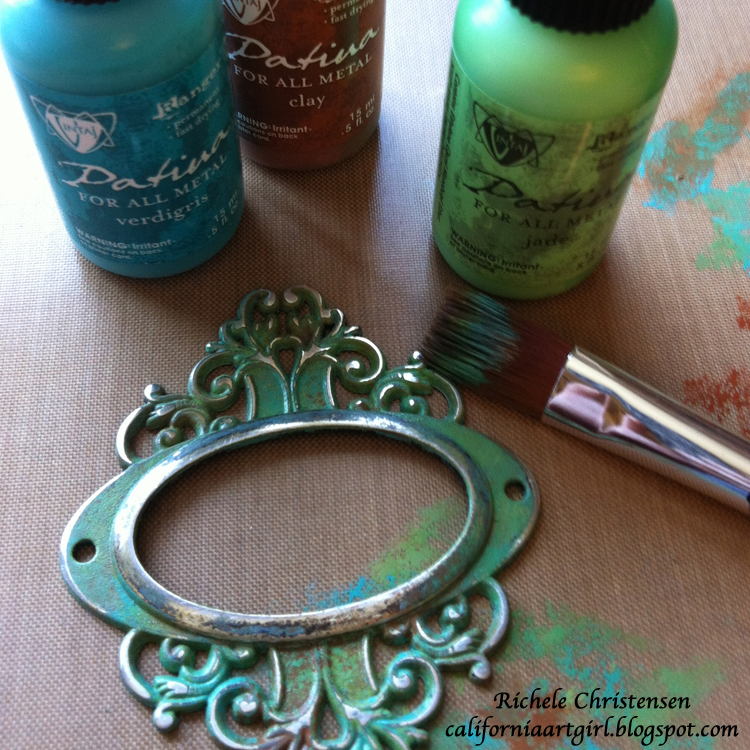 Paint the oval Ornate Plate with the Patina Inks then sand with a Sanding block. 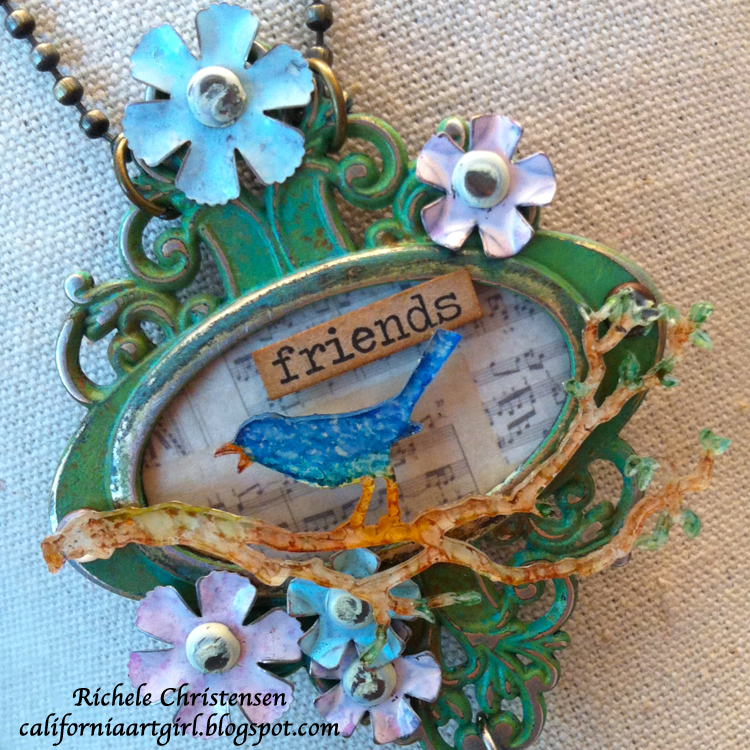 Assemble your necklace by adding the Flowers with brads through the Ornate Plate. 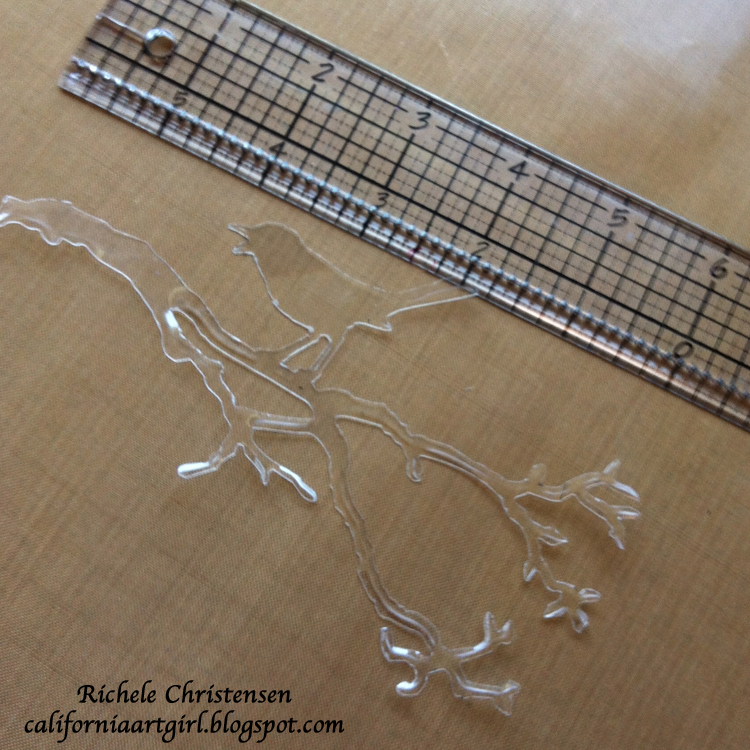 Cut an oval of music print card stock that has been mounted onto chip board to fit the Ornate Plate. Glue the oval into the Ornate Plate. This will be your background. Add the word "friends" from the ChitChat words. 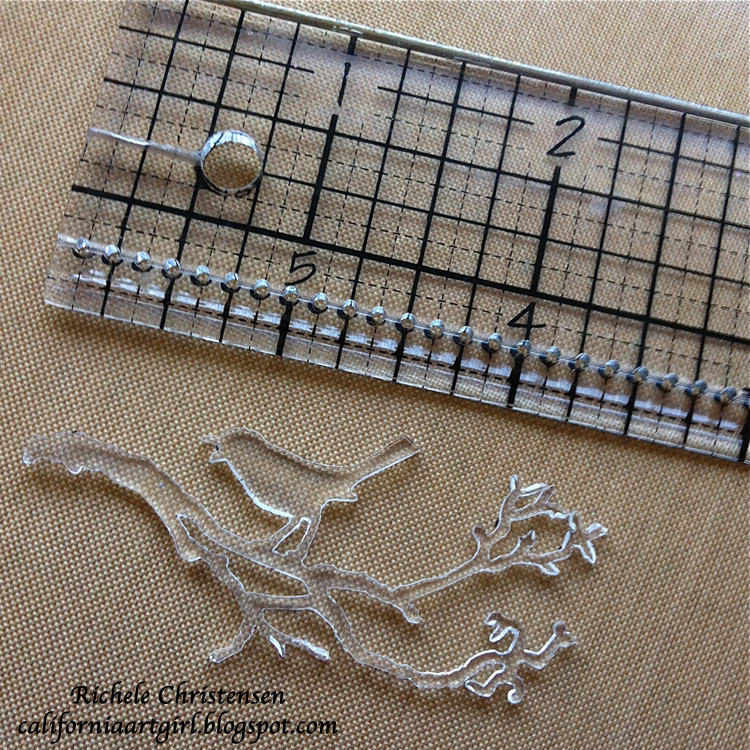 Pop dot and glue the Bird Branch to the Ornate Plate. Add a Bauble pearl to the bottom with a jump ring. Ball Chain make the perfect necklace, just attach with jump rings to the top of the Ornate Plate.. Check out what the incredible Inspiration Team has created with Shrink Plastic. I guarantee you will be Inspired to join in and make your own. 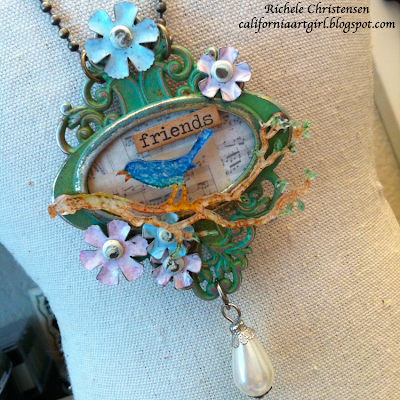 I'd love to hear from you before you head over to the Inspiration Emporium blog to see more Inspiration using Shrink Plastic. So stinking cute!!! 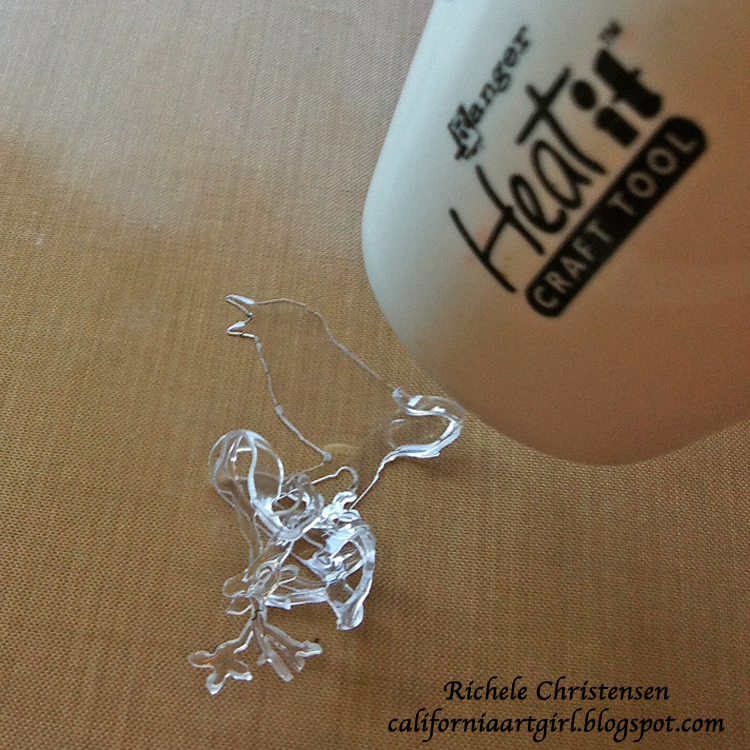 I didn't know you could use a heat gun on SP...duh! You ate too clever! Love your necklace! So very fresh with the painted metal. Wonderful ! Stunning !! I love it !!! This is awesome! 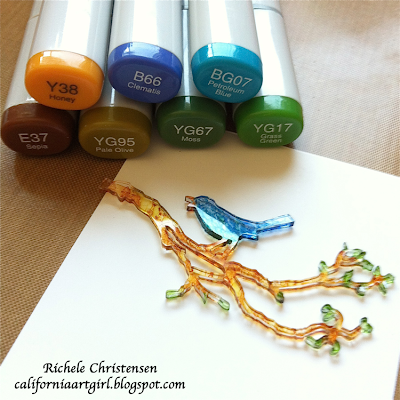 Only thing I'm curious about is why you didn't color the bird & branch ahead of time. That who's have been easier & I feel like the color would have stayed better. This is gorgeous. Thank you! When you color before you shrink I think the color can often be very intense. 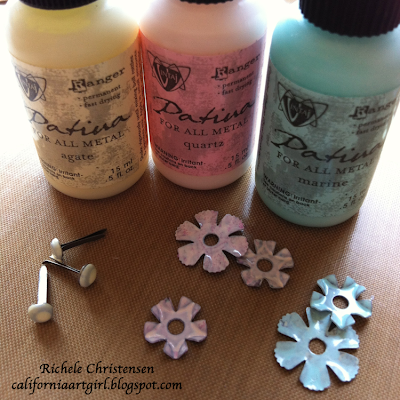 I wanted the colors to remain soft and some what pastel. Both techniques work well! I know it an old post but for me it's so many new techniques! Thank you so much for photo tutorial.Very helpful.